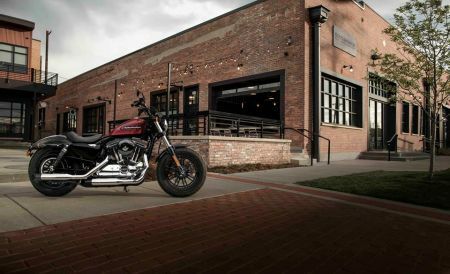 The Harley-Davidson Forty-Eight Special is the newest addition to the company's line-up. Visually, the new H-D Forty-Eight Special will also get new graphics inspired by the 1970s custom motorcycle styling and design. The bike is powered by a 1200 cc Evolution V-Twin engine that makes a peak torque of 96 Nm, at 4250 rpm. The bike comes with quick handling and features an emulsion rear shock with a screw pre-load adjuster which helps in easy adjustment according to your riding style. Visually, the bike comes with a pair of 7.25-inch high Tallboy handlebar, 70's custom tank art, Dark Custom Style, and Split 9-Spoke Cast Aluminium Wheels. The new Forty-Eight Special will be available in 3 colours - White, Black, and Red.